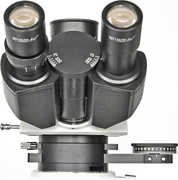 Our range includes different types of microscopes, each with their own specific strengths. Depending on what you want to use the microscope for, you choose the most suitable type. 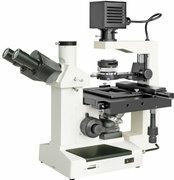 You can find all kinds here, from stereomicroscope to biological microscope and from phase contrast microscope to polarization microscope. A suitable microscope can be found for every budget. Of course you do not buy a microscope impulsively. Some people have done extensive research and know exactly what they need. But perhaps you have no idea at all which type of microscope you should have. Based on the goal you have with the microscope, we can help you a little way. Do you want to do blood tests, study mushrooms or check your koi fish for diseases? A suitable microscope can be found for each study. 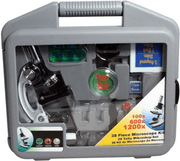 For both a microscope for beginners and a professional microscope, you are in the right place with Frank. 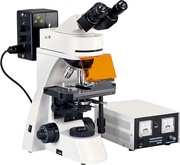 One of the most recent developments in the field of microscope is the USB microscope or digital microscope. With this type you can view your object not only through the eyepiece, but also through a screen. This can be a supplied display, but also that of your own computer. For example, this is very useful for research with several people. With a USB microscope you can store and save everything that you are researching. You can buy a USB microscope from BMS, Bresser, Byomic, National Geographic and Optika.